מדמיין את מה שהיה ואת מה שהיה יכול להיות. A white room closes on me. I am alone tonight. Layla, Layla . . .
Palestine Broadcasting Authority towers at Ramallah during the late 1930s. Photo credit: The American Colony Photo Department in Jerusalem, via 972 Magazine. In this popular 1988 song, “Radio Ramallah,” by the Israeli rock musician Yehuda Poliker, the narrator decries a lost voice—the voice of a woman named Layla. Who is Layla? What can we know about her from the song’s narrative, in which—by virtue of an intersemitic homophone—an Arabic female name sounds interchangeable with the word for “night” in both Hebrew and Arabic: laylah. The geographical marker in the song’s title drives the point home: the woman, if she is an actual woman, is a Palestinian Arab. Why is her voice missing? In the final stanza, her voice shudders like a phantom limb, perhaps imagined but also viscerally real. And where does this voice exist? The answer is complicated: the voice is embodied in Palestine and resonates sonically in Israel. The medium bridging this schizophonia—this apparent divide between the physical and aural domains—is the radio. From a twenty-first-century perspective, it can be difficult to imagine the altogether foreign media paradigm of pretelevision Israel. 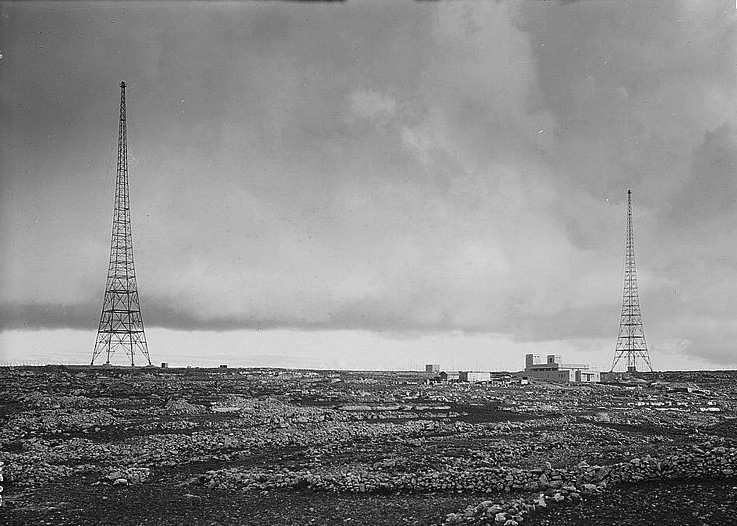 Radio broadcasting in Mandatory Palestine began under the auspices of the British, who established the Palestine Broadcasting Agency (PBA) in 1936. In 1948, the newly established State of Israel inherited the PBA and rebranded it as Kol Yisra’el, the “Voice of Israel.” Radio was unquestionably the hegemonic media form of the early state, even after the introduction of television to the country in 1968. As in other emergent socialist democracies in the Middle East and Europe, the state broadcasting agency maintained absolute control of radio programming and content, and Kol Yisra’el was the exclusive Israeli station until the establishment of Reshet Bet in 1960, Galei Ẓahal in 1973, and Reshet Gimmel in 1976. Each of these stations remained under the Israel Broadcasting Authority except Galei Ẓahal, which was run by the army. Together, these stations dominated the sonic sphere of Israeli cultural life until the 1990s, when the entrance of satellite television and private media conglomerates brought globalized media to the country at an unprecedented pace. Radio’s media specificity meant that its reach had little correlation with the transmutable political boundaries that were subject to redrawing after the various wars fought between Israel and its neighbors. “Tuning in” to radio created a unidirectional relation between transmitter and receiver; this relation consisted of invisible, radiating waves of electromagnetic energy modulated either by amplitude (AM) or frequency (FM) and measured in figures that we use to signify specific stations. For example, today Reshet Bet’s wave frequency modulates at 95.5 megahertz (95.5Hz x 106) and so is called FM 95.5. As they travel through space, radio waves are indifferent to national borders; thus, from a political perspective they are inherently transgressive and cover whatever territory their physical waveforms allow. What this has meant in Israel is that people living on both sides of the Green Line separating Israel proper from the West Bank and other territories could tune in and listen to the Other’s—the so-called enemy’s—mediascape. Since 1948, Jordanians and Palestinians could readily tune in to Kol Yisra’el and, later, Reshet Bet and Reshet Gimmel. For those living on the Israeli side, the primary carrier of the voice of the Other between 1948 and 1967 was Radio Ramallah, the subject and title of Yehuda Poliker’s song about tuning in to the radio during his military service. As the station’s name indicates, Radio Ramallah was based in the Palestinian city of Ramallah, located 20 km north of Jerusalem, and this is where the British Mandate’s Palestine Broadcasting Agency was headquartered before its 1948 relocation to Jerusalem and renaming as Kol Yisra’el. Out of the ashes of the PBA in Ramallah rose Radio Ramallah, a Jordanian-run station that broadcasted through the PBA’s old transmitter at 667 kHz. In contrast to Kol Yisra’el, whose explicit agenda was to facilitate the assimilation of immigrants and pedagogical practices that would serve the Israeli nation-building project, Radio Ramallah’s programming eschewed nationalist politics and was centered on musical cosmopolitanism. Thus, while Kol Yisra’el transmitted material such as European classical music, with its pretensions to civilization, and Hebrew national song (in addition to news programs and radio dramas), Radio Ramallah specialized in Western and Arab popular music. For many Israelis, Radio Ramallah was the primary portal through which to experience the outside world sonically from the comfort of home. It is difficult to imagine, furthermore, the emergence of Israeli rock, which since the mid-1960s has been a powerful force in the cultural sphere, without Israeli musicians having had access to the American, British, and continental European records transmitted over Radio Ramallah’s airwaves. The sounds they heard informed the small, bourgeoning rock scene in mid-1960s Ramla, a mixed Jewish-Arab city that sits in central Israel due south of Ben-Gurion Airport. Early rock bands collectively called lehakot ha-keẓev (lit., rhythm bands) performed a repertory that consisted mainly of covers of English-language rock songs they heard on Radio Ramallah, along with some original Hebrew-language compositions that would form the backbone of Israeli rock over the next decade. Michael A. Figueroa is assistant professor of Music at the University of North Carolina at Chapel Hill, where he teaches Middle Eastern, Jewish, and African American music. His current book project examines music and political consciousness in Israel/Palestine, with a focus on musical renderings of territory, narrative, and violence.